Inmarsat is the pioneer of global mobile satellite communications. Today it stands at the forefront of 3G wireless telephony, capitalizing on almost a quarter of a century’s experience to deliver broadband communications solutions to enterprise, maritime and aeronautical users around the globe. Inmarsat operates a constellation of geostationary satellites that extend mobile phone, fax and data communications to every part of the world, except the poles. End-users can dial into the international telephone network and send data over the Internet at any time, simply by connecting to an Inmarsat satellite. They include shipowners and managers, TV broadcasters, international aid workers, national governments, commercial airlines, banks and other financial institutions, and many others. The new Inmarsat I-4 satellites, the largest commercial communications spacecraft, form the backbone of Inmarsat’s Broadband Global Area Network (BGAN) services, offering phone and mobile data communications at up to 432kbit/s for Internet access, mobile multimedia and many other advanced applications. Using the most advanced satellite network in the world, Inmarsat provides ubiquitous, wireless communication services on land, at sea and in the air. With Inmarsat’s land services you can create a virtual office anywhere instantly. 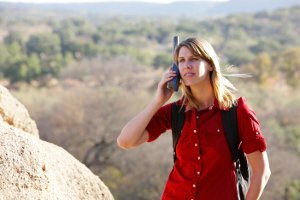 There’s no need to hook up to terrestrial networks for roaming, as Inmarsat provides a range of data and voice options covering almost all of the world’s land mass. While Inmarsat continues to play a vital role in ensuring maritime safety, we offer unparalleled coverage and flexibility in maritime communications technology. Our services support all types of ocean-going vessels from merchant ships and fishing boats through to luxury yachts. Inmarsat brings the full range of voice and data telecommunications solutions to cabin and cockpit. Our services contribute to safety and operational efficiency in all sectors of the aviation industry, from commercial airliners to corporate jets.